Grace was Progressive Insurance's director of comms. 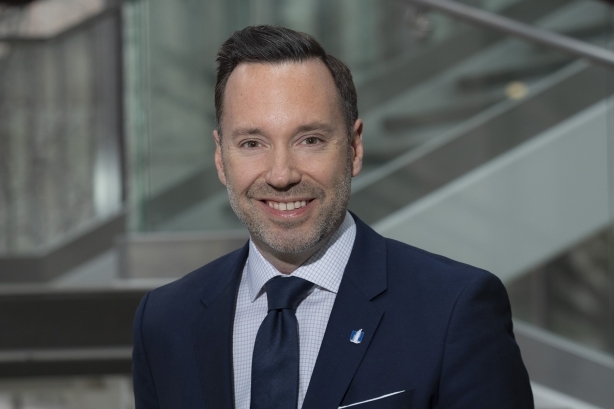 COLUMBUS, OH: Insurance and financial service provider Nationwide has named Brian Grace as its new chief communications officer. Grace, who started Monday, reports to SVP of marketing Ramon Jones and leads a 40-person comms team. According to a Nationwide representative, he is taking over the position from Rick Phillips, who retired last summer. He will lead Nationwide’s internal and external comms, including leader communications, as well as its PR and reputation management functions, according to a release. Grace was most recently director of communications for Progressive Insurance, a position he held for just under five years, according to his LinkedIn profile. Progressive did not immediately comment on his departure. Earlier in his career, Grace managed communications and reputation issues for Target and was corporate communications manager for NASA and Pentagon contractor, ATK. For 2017, Nationwide reported $46 billion in sales and $562 million in net operating income. The company also paid $18.7 billion in claims and other benefits to members in 2017. The company describes itself as "one of the largest and strongest diversified insurance and financial services organizations in the United States." Chris Monteiro leaves KPMG U.S.